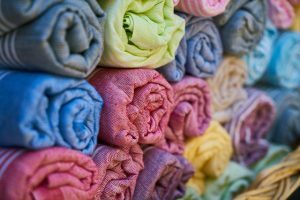 Home Blog Lessons on Buying Fabric Online – Where To Get Cheap Fabric? 4.1 Colors On Your Monitor May Not Be Accurate. 4.2 Check their return policy. 4.3 If you do need to return something like dress fabric, do it promptly. Does buying fabric make you feel like a fish out of water?
. . . or worse, you don’t even want to set foot into a fabric store because it seems overwhelming? Don’t worry. After reading the information on this page you will feel much more comfortable with how to buy fabric – either online or at your local fabric stores. Fabric is shipped to stores in what is called “bolts”. These bolts of fabric can either be rolled onto a cardboard tube or folded onto a flat piece of cardboard. Quilting and craft fabric are usually found on flat folded bolts. Home Décor and apparel (clothing) fabric can be found on both rolled and folded bolts, depending upon the style and manufacturer. When buying fabric, you will often find in most large chain fabric stores, the displays are usually grouped by types of fabric. For example, the craft and quilting fabric may be found all in the front of the store, and all the home décor and upholstery fabric in the back. Signage above the displays usually helps you to identify which area you are in. Occasionally smaller independently owned stores may not be set up this way, so be sure to ask an employee if you are having trouble. 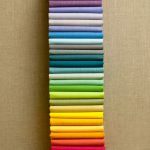 It is helpful to know when you’re buying fabric that some stores are dedicated to one specific type of fabric. For example, you will find stores that only carry home décor fabrics. Others will be exclusively for quilting or craft fabrics. When you are shopping for and buying fabric, don’t be afraid to select one that is categorized for a different use. For example, you may find a denim fabric in the apparel/clothing section that would be perfect for curtains in your teen’s bedroom. Or you may find a lightweight quilting fabric that would make a cute casual summer skirt. Mix and match; use your imagination and experiment. One note of caution when buying fabric outside its normal category: be sure to check the care/washing instructions. For example, if you plan to wash your finished product often, make sure the fabric is not dry clean only. Also be sure the “weight” of your selected fabric works well with its intended use. For example, you may love the design of a lightweight apparel or craft fabric, but if you plan to use it on furniture, be aware that it could wear out or rip far too soon for your liking. Information such as width of fabric, washing instructions, price per yard, fiber content, country of origin and amount on a full bolt, is usually available on the end of the flat fabric bolt. To find this information on a rolled bolt of fabric, look for a tag attached to the cardboard tube. Sometimes it is on a piece of paper attached to the tube with a plastic hang tag, other times it is on a piece of paper glued to the inside of the tube. Be sure to look for this information when buying fabric so that your selection is the best one for your finished product. A store employee will cut, from the bolt, the amount of fabric you wish to purchase. In most cases you will bring the fabric(s) you have selected to a cutting area (and wait in line sometimes) for it to be cut. If your desired fabric is on a large display roller, a store employee may need to assist you in moving it to the cutting area. Ask before struggling to remove the fabric from the display. 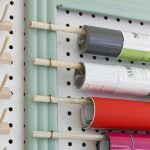 Most fabric stores will have a designated cutting space with a table or cutting board to accurately measure the amount you need. However, I have been in a few stores, where the employees will use a measuring stick and then cut right off the roll on the display while it’s still hanging. If buying fabric in one of these shops, watch carefully that the cutting line is straight across the width of the fabric. (If the cut is not straight, you could end up getting a slightly smaller piece at one end.) To protect yourself from shortages, you may want to request a slightly larger amount than your pattern calls for. This will save you any headaches when you get home and find out your fabric is just a tiny bit too short on one end. 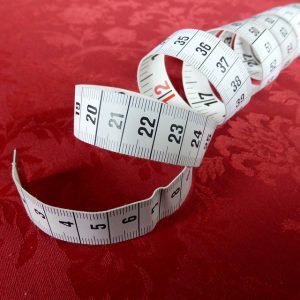 Look for information on your sewing pattern, if you are using one, to determine the amount of fabric you will need. Please note that a different amount may be required depending upon the width of the fabric. In many cases, the wider the fabric, the less length of fabric you will need. The amount of fabric on a whole bolt in retail stores varies, depending upon the manufacture and thickness of the fabric. It can be anywhere from 8 to 30 yards or more. (approx 7 to 27 meters). Never cut a swatch piece for yourself. Believe it or not, I have seen customers do this, and as you can imagine, the employees were not happy! Usually stores will only sell the remnant piece as is, and will not cut it into a smaller amount for you. Some (not all) remnant pieces are sold cheaper than their original price per yard. Depending on the amount you need, buying fabric in a remnant piece could be the way to go. You may get lucky and find the right size for a great price. 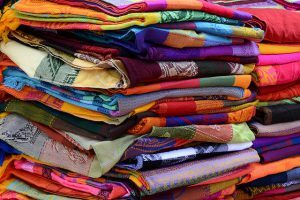 When a manufacture colors, or dyes, a large amount of fabric at one time it is given a dye lot number. If two different bolts of fabric have the same dye lot numbers it means that all of that fabric was dyed at the same time. The color, intensity and tone will match. However, if two bolts of fabric have different dye lot numbers, it means they were colored (dyed) at different times using separate batches of dyes. Even thought the manufacturer uses the same dying process, the end results can be slightly different and often noticeable. You may be surprised sometimes to see how different the same fabric, from different dye lots, can look. When buying fabric from two different bolts, it is best if they are from the same dye lot. This information is important when using fabric from different bolts for the same project. 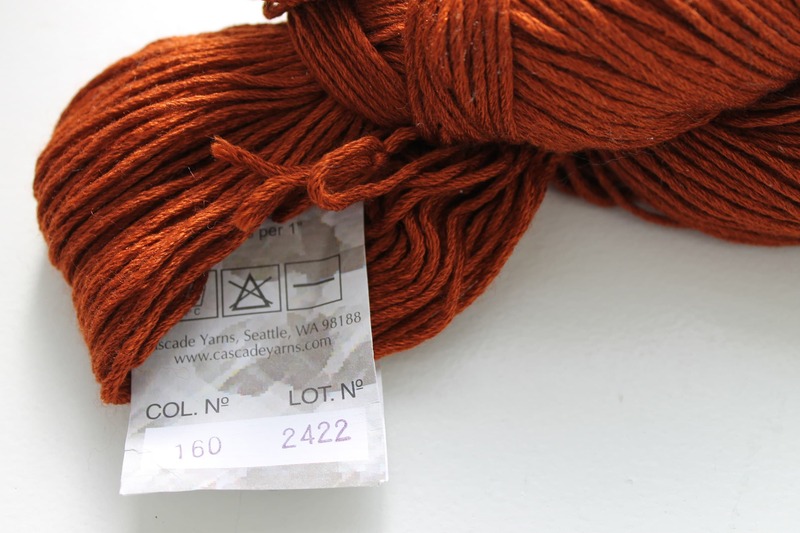 Be mindful that if the dye lots are different it could be noticeable in your finished project. This is especially true if the fabrics are either seamed together or next to each other, for example on set of curtains. Fabric comes in many, many different styles and textures. The following is a general guide to use when buying fabric. Remember, as stated in the information above, don’t be afraid to use a fabric outside it normal category use. Be creative, experiment and have fun! Fashion Fabric – This type of fabric is most often used for clothing. These can be either woven or knit in construction. Knit fabric has more “stretch” than woven fabric. For example, tee shirt fabric is knit, and denim fabric is woven. Home Décor Fabric – This type of fabric is used in all aspects of home decorating. It includes lightweight sheer fabric for curtains, heavy weight upholstery fabric and everything in between. Often, but not always, this fabric is available in a wider width than other type of fabrics. 54” wide is a common size for home décor fabric. Quilting Fabric – This lightweight fabric comes in a very large variety of colors, designs, as well as solids. It is usually made of a lightweight cotton or a cotton blend. Okay, so I learned the hard way. A few years ago, I ordered fabric eight yards of the most gorgeous red heavy silkish cheap fabric I’d ever seen from one of the online fabric retailers. As I looked at it on my computer, I could see the very dress I was going to make with it. Maybe even a long jacket. Eagerly, I filled out the order form and sent in my credit card number. And then like a kid waiting for Christmas, I ran to the mailbox every day hoping it was there. It took about a week (a watched mailbox never boils,) but when it finally arrived I was so excited I ripped open the package before I even got back to the house. And that’s when my heart dropped right out of my chest. The gorgeous red silk was actually a watermelon color with some weird ridges running through it. Definitely not the fabric I ordered from this . What a disappointment. Colors On Your Monitor May Not Be Accurate. Apparently, different monitors show color differently. So what was actually watermelon, looked like a deep cherry red on my computer screen. Always ask for a swatch, unless you know for sure what you’re getting. Make sure you can get a hold of a real person at the company (by phone, preferably). It’s best if the website has an actual brick and mortar store somewhere. But if not, a phone number and mailing address somewhere on the site is a good sign. Be sure you can return your nice dress fabric if there’s a mistake. And find out who pays for shipping. If you do need to return something like dress fabric, do it promptly. Got any online purchasing stories of your own? Cheapest place to buy fabric or online discount fabric store? I’d love to hear them. Send me a message and I will share it on the website!